How to Transfer Media Files to Computer? Export media files from an iPod device to computer can help you backup the precious files. 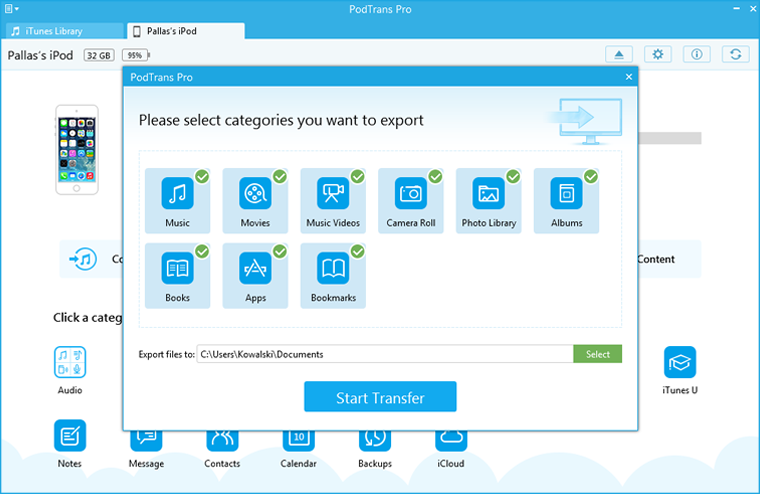 PodTrans Pro allows you to export music, playlists, camera roll, apps, etc. 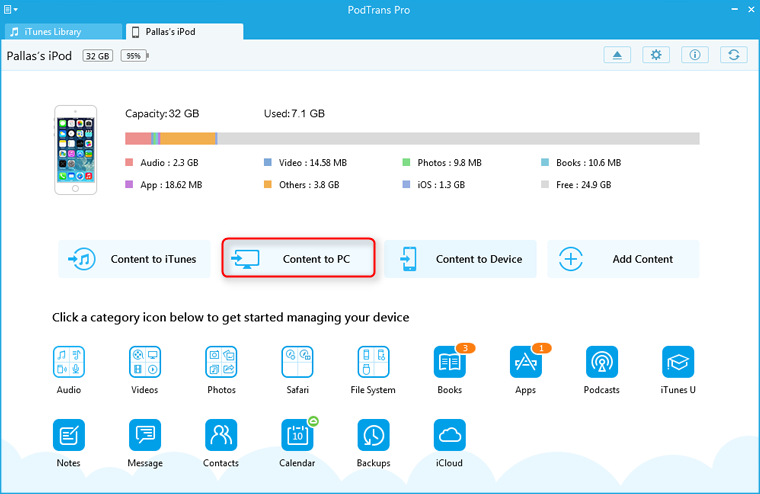 In addition, you can save your iPod devices space to store increased data. Step 1: Open PodTrans Pro and connect your iPod to the computer. Then, choose the button "Content to PC". Step 2: Select one or more items to export. At the same time, pick a suitable storage path to save the files you want to transfer. Then, click "Start Transfer" button to begin.